Why won't Jeremy Corbyn release the files that don't exist to prove he wasn't a Soviet spy? It’s been a slow news week, with not much in the way of politics happening. Thankfully, we’ve been treated to a maelstrom of revelations about the hitherto secret double life of allotment-botherer and Leader of Her Majesty’s Opposition Jeremy Corbyn. 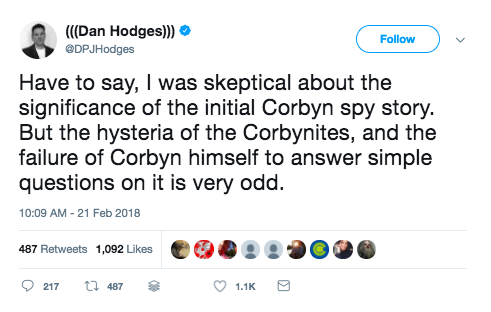 Corbyn, you see, was once a Soviet spy who betrayed his country and sold secrets to our Cold War enemies, apparently. 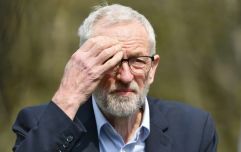 Jan Sarkocy, a Czechoslovakian diplomat in London during the 1980s who was later revealed to be a spy, claimed that he recruited Corbyn as an intelligence asset and that Corbyn and other Labour MPs were paid up to £10,000 by the Czechoslovak secret service (StB) for their work. The claims were revealed initially in The Sun newspaper, before being spread by the Daily Mail and The Telegraph amongst others. Mr Sarkocy claimed that Corbyn, who was a young backbench MP at the time, passed on such critical state secrets as what the Prime Minister Margaret Thatcher had for breakfast. The Soviets famously spent years trying to ascertain the breakfast cereal consumed by Thatcher, for complex reasons you wouldn’t understand because you’re not in the espionage business, so don’t even ask. Sarkocy’s other bombshells included the fact that he had helped organise Live Aid, his dad drives a Porsche, and that his girlfriend is a model and you wouldn’t know her, she goes to another school. Those in the Conservative Party, as well as the Tory press, called upon Corbyn to come clean about his past, imploring him to release his ‘Stasi file’. Spare a thought for Conservative vice-chair Ben Bradley MP, who got caught up in the moment and tweeted that “Corbyn sold British secrets to communist spies”, forgetting that as an elected member of parliament, you can’t just go around libelling people. Bradley then had to face the ignominy of having to quietly delete the tweet upon the insistence of Corbyn’s lawyers. Oh yeah? If Corbyn has no Stasi file detailing his crimes, then surely he could just release the file that doesn’t exist to prove its non-existence. It was all starting to sound a bit fishy. 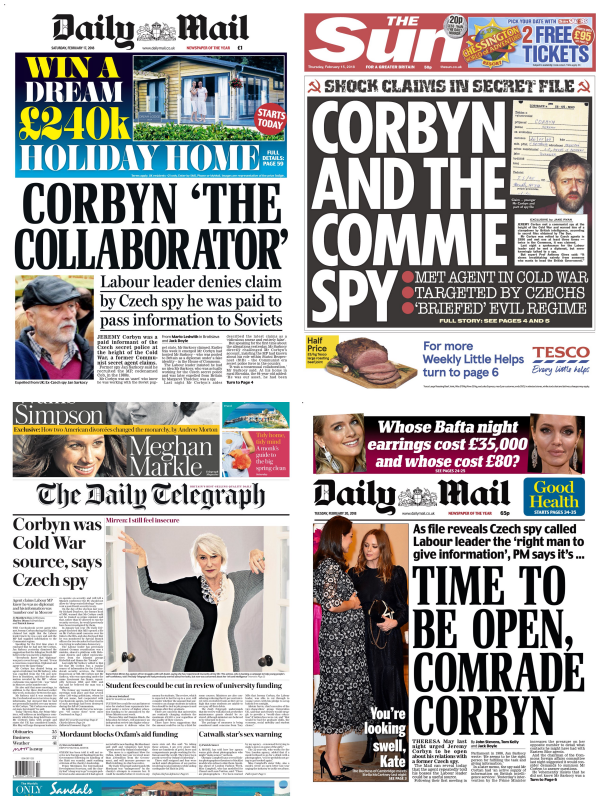 Elsewhere among normal political discourse this week, actual Tory security minister Ben Wallace compared Corbyn to Kim Philby, who worked as a British spy before being outed as a double agent and defecting to the Soviet Union. Cabinet colleague Steve Baker was wonderfully skewered over the claims by leftie mouthpiece Andrew Neil. Further doubt on the veracity of Sarkocy’s claims was cast when the director of the Czech security services archive, Svetlana Ptacnikova, told the BBC that their files suggested that although Corbyn was seen as a potential contact, he was never listed as an informant. 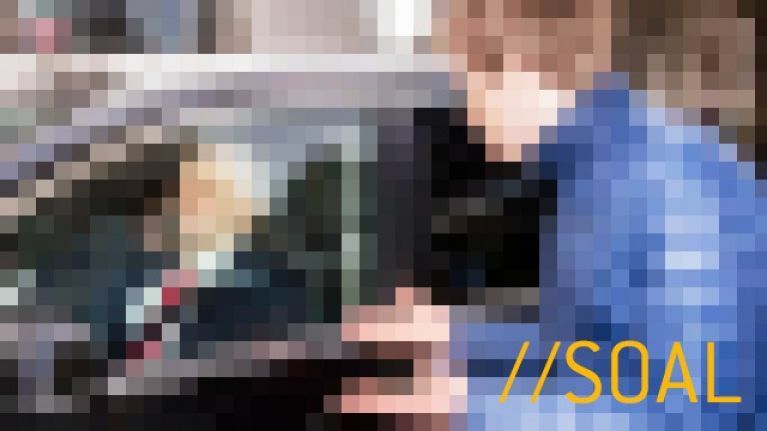 Conclusive proof, you’ll no doubt agree, that Jeremy Corbyn was working so far up the chain of command, that his Stasi file is too top secret even for the Stasi to know about. It was another week of mixed emotions for Henry Bolton MBE, who lost his unpaid role as leader of Britain’s fifth political party Ukip, but (re)gained a racist girlfriend. Every cloud. 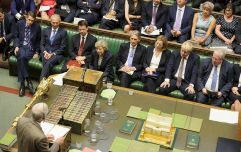 Bolton had faced a vote of no confidence at a hastily arranged Emergency General Meeting in London, which was unfathomably attended by more than 1500 members. No Ukip MPs were able to attend. How did it go, mate? 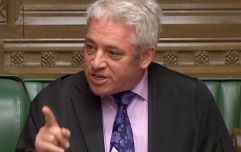 A total of 63% of those in attendance voted to ignore the will of the people and overturn a democratic decision, thus ousting Bolton as leader. The highlight of the day though came when a pro-Bolton speaker ripped up a 5 Euro note onstage, throwing Ukip’s upcoming local election campaign budget into disarray. We finish this week on another sad farewell, as we say goodbye to Ukip’s lion logo. In the days since Henry Bolton’s ousting as leader, the party seem to have dropped the logo and reverted to their well-known pound symbol. The lion logo, star of precisely one JOE faceswap video, was introduced in September last year and outlasted Henry Bolton’s leadership by a number of days. Gormless Ukip lion, we hardly knew ye’.